Below are samples to give you ideas of layouts, images, color and type or let us create something custom for you. 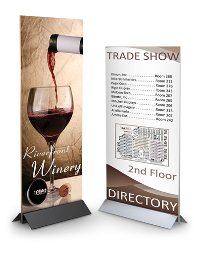 Custom design is included in the price of the banner. Include the number or number associated with the images below with your order along with instructions and we'll email you a proof. It's that simple! WE CUSTOM DESIGN YOUR SIGN, PRINT AND SHIP DIRECTLY TO YOU ALL FOR ONE LOW PRICE!